The Freedom Train has an APP!!! Get it on Google Play by clicking below. To hear the active stream click here. Thank you for choosing the Freedom Train, we hope you enjoy the ride. Welcome to the home of the Freedom Train Network! The Freedom Train is a community of people dedicated to using their voices, connections, and resources towards developing the Black Community. All of our shows have 1 thing in common, to be a resource for the betterment of the Black Community. With that in mind you will find shows on the network covering all types of topics and the network is always expanding. Be sure to check out the shows and drop comments and reviews. Thank you for choosing the Freedom Train, we hope you enjoy your trip. Only when Lions have historians will hunters cease being heroes!! 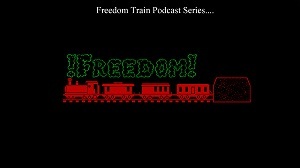 The Freedom Train is a community resource radio show linking the resources available to the community that needs them. We go out of our way to find and honor the movers and shakers in the Black Community giving them a platform to share their voices and services. 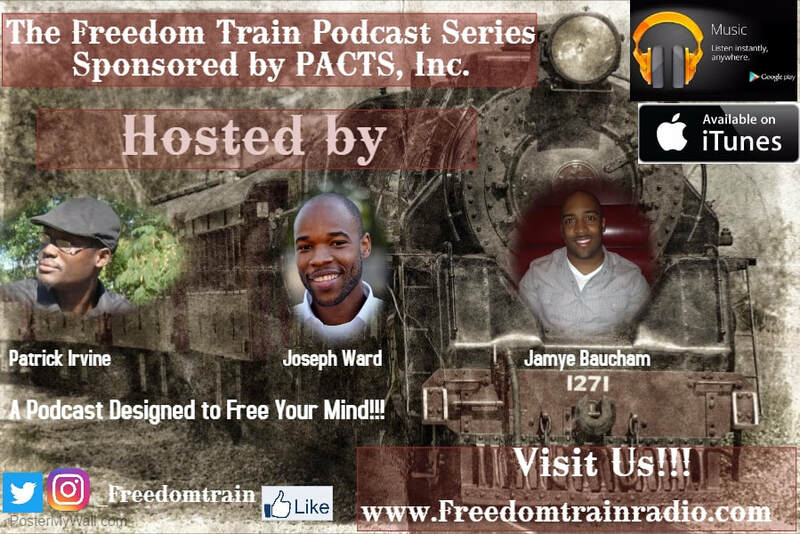 You can catch us every Wednesday where ever you get your podcast or right here on the Freedom Train Website. 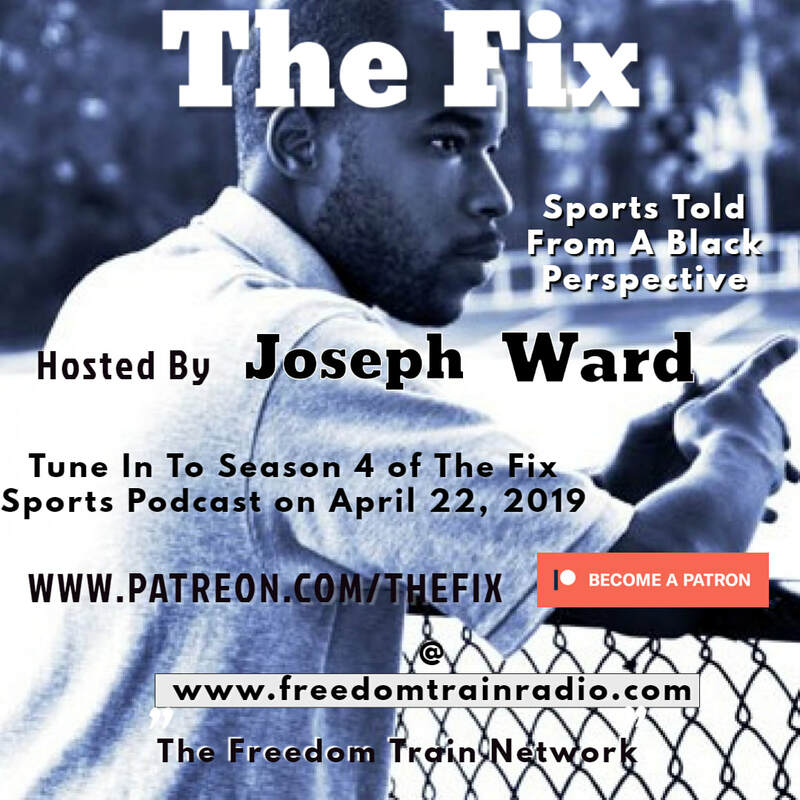 The Season 4 debut of The Fix Sports Podcast begins April 22nd. Tune In!! Joseph Ward is giving you his take on the latest happenings in sports. He is talking about boxing, tennis, football, basketball, and every other sport he can put his eyes on. Be sure to look out for his weekly HBCU Spotlight and his weekly rant. He is the voice of the people and He is giving you a look at sports from a perspective of a person who loves black people. Check out his show every Monday and Friday here on the website, or wherever you get your podcast such as Stitcher, Google Play Music, and iTunes. Lessons From the Screen is a Podcast that gives a review of Digital Documents and programs and some takeaways for building a better community. Check the show out Every Thursday here on the website or wherever you get your podcast such as Stitcher, Google Play Music, and iTunes. On the Shoulders of Giants is dedicated to bringing awareness to the worldwide contributions of the heroes and cultures of the African Diaspora, both of which have given the world hope and freedom. The purpose is to provide an alternative and positive perspective of the history of the African diaspora, which challenges the negative rhetoric that is commonly told of non-white persons throughout the world. Check the show out here every Saturday or ​wherever you get your podcast such as Stitcher, Google Play Music, and iTunes. The Enigma Sept Hour happens when hip hop meets podcasting. Veteran MC and podcaster Enigma September is coming back to the podcasting game; all others be aware. Enigma will be giving you the latest hip hop news and music from the countries hottest artist. The Enigma Sept Hour debuts on the Freedom Train Network on 7/27/18 at 10:30pm est, make sure you tune in!! !